One of the biggest challenges you may face as a caregiver to a person with metastatic (meh-tuh-STA-tik) breast cancer (MBC) is asking for help. Balancing your loved one’s needs with your own can be challenging. But you don’t have to go through it alone. 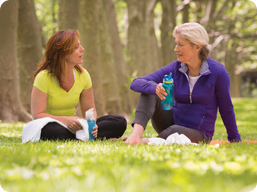 Here are some tips to help you get the support you need. Learn as much as you can about MBC and your loved one’s treatment plan. The independent organizations listed are provided as an additional resource for obtaining information related to cancer and advanced breast cancer. Inclusion on this list does not indicate endorsement by Celgene Corporation of an organization or its communications. Support can come from many sources—your family, friends, colleagues—even strangers who eventually become friends as you join a community of people facing similar challenges. Support can also come from organizations that provide resources to help you better understand what to expect living with metastatic (meh-tuh-STA-tik) cancer. Knowing what to look for and where to turn are key to getting the support you need. 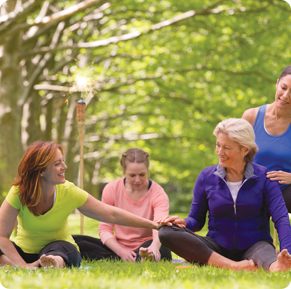 Your need for services, support, and information about metastatic breast cancer (MBC) may change over time. Knowing where to find the resources you need to help manage these challenges can help you feel more in control. Use the resources listed below to get answers, advice, and help from advocacy groups and peers who understand the needs and concerns of people with MBC. The independent organizations listed are provided as an additional resource for obtaining information related to cancer and MBC. Inclusion on this list does not indicate endorsement by Celgene Corporation of an organization or its communications. One of the most valuable sources of support are other people who are facing the challenge of metastatic breast cancer (MBC). At Celgene, we call them Patient Ambassadors. They are patients and caregivers who choose to share their stories with others. Through their voices comes the understanding that you are not alone in your diagnosis of MBC but a part of a community. Reba shares the benefits of having a positive outlook while living with metastatic breast cancer, the difficulties she has had as a single mother, and her treatment with ABRAXANE. You will also hear from Tammy English, a registered oncology nurse, who will discuss metastatic breast cancer and ABRAXANE as a possible treatment option. I am looking forward to the rest of my life, and treating every day as a gift, hoping that my days will include many milestones in my daughter’s life. But also in my own life. Yes, I do have my own milestones. Every day is a milestone. You see, I don’t live just for Sloane. I also live for Reba. Although Reba passed away in 2016, she hoped her story of living with MBC would continue to help and inspire others. Sarah shares her personal story of being diagnosed with and living with MBC, being a mother of small children and treatment with ABRAXANE. Sheila also shares what it’s like to be a mother of someone living with MBC, and how she supports her daughter while dealing with the disease. You will also hear from Tammy English, a registered oncology nurse, who will discuss metastatic breast cancer and ABRAXANE as a possible treatment option. I have seen not only Sarah’s courage and determination, but also the courage of countless women with metastatic disease who have wrestled their lives back into their own hands, determined to live in the tenuous present, for their husbands, for their children, for their parents, for their siblings, for their friends. Della and her sister Kathy share Della’s story of being diagnosed and living with MBC. They also talk about the challenges of being a single mom, overcoming financial hurdles, treatment with ABRAXANE and how Kathy supported her. You will also hear from Tammy English, a registered oncology nurse, who will discuss metastatic breast cancer and ABRAXANE as a possible treatment option. The oncologist at the cancer center then told us that ABRAXANE was the treatment she’d recommend for my sister. But Della was so worried about money. I kept telling her not to worry. The last thing a cancer patient needs is to stress about finances. And I explained that I was going to get in touch with the Celgene Patient Support® program, or CPS, to see what they could do to help. Although Della passed away in 2016, she hoped her story of living with MBC would continue to help and inspire others. Carol and her husband/caregiver Gene, talk about the value of family, their story of living with metastatic breast cancer, and treatment with ABRAXANE. Gene provides perspective as a caregiver on how difficult it can be to deal with a loved one being diagnosed, and helpful ways to support them through this trying time. We’re both going through this together. She’s the one that has the disease, but we’re going through it together. You put your arms around that person and you tell them ‘I love you and we’re in this together.’ We know that eventually things will change. We try to have a good time every day, the small moments together are very important. Della discusses her story of living with metastatic breast cancer, the worries she had after being diagnosed, and her treatment with ABRAXANE. She also speaks about the importance of trusting her oncologist and how Celgene Patient Support® was able to help her receive ABRAXANE, despite her lack of insurance. My doctor and I talked about treatment with ABRAXANE and we felt like that would be the best treatment for me. 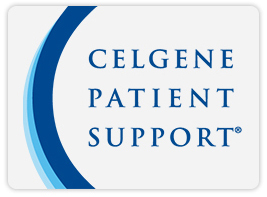 I found financial assistance through Celgene Patient Support®, and that eased my mind a lot. You do have to be proactive. Talk to your doctors and nurses, have a strong support group around you, and stay positive. Guilt is such a hard feeling for us to carry; it is so critical that you remind yourself if guilt comes up that you did not ask for this diagnosis, you did not ask for the cancer… sharing with your friends and family what you’re feeling, that you’re feeling guilty about the changes it’s creating in your family and having a conversation about that can be really helpful. They won’t know what they don’t know so if you’re concerned, if you’re worried, if you have a discomfort or pain, if you feel anxious, make sure to tell your healthcare team. We have the tendency to want to be super moms or super workers or super wives or super colleagues or super patients. And sometimes, we need to just accept our limits that we can’t necessarily run the marathon we used to. But we can walk to the mailbox today, and that today is an accomplishment.